Fright Meter Awards Blog: 2016 Fright Meter Award Winners! 2016 Fright Meter Award Winners! The 2016 Fright Meter Award winners have been announced! 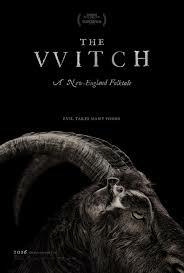 The VVitch picked up the most wins, with three including Best Horror Movie. The Neon Demon followed with two wins. The Fright Meter Awards, now in their ninth year, are a registered non profit organization dedicated solely to honoring the year's best in horror. The nominations and winners are determined by the Fright Meter Award committee, a group comprised of over 50 individuals involved in some facet of the genre, including bloggers, producers, directors, and actors.